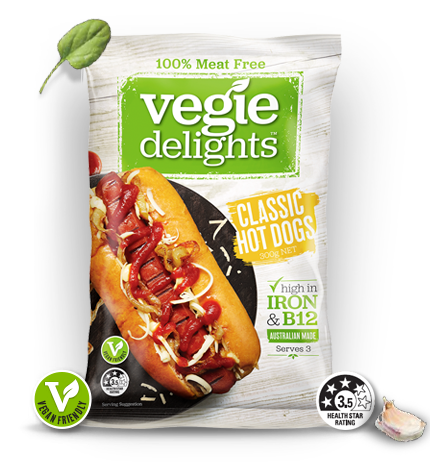 Versatile and delicious 100% meat-free Hot Dogs made in Australia for Australians. Try them in a sausage roll or hot pot. Pan or BBQ: Remove from the packaging, place on a pan or BBQ and turn frequently on medium heat for 2 – 3 minutes.